Why Trade SMI 20 ‏(SWI20) with XM? At XM we offer SMI 20 ‏(SWI20) as a cash CFD. Our cash CFDs are undated transactions that aim to replicate the cash price of the underlying instrument, and so they are adjusted for interest. The SMI 20 (SWI20) stands for Swiss Market Index, and as the leading blue-chip stock market index of Switzerland it has a strong national reputation for quality, reliability, and profitability. The index consists of the 20 largest and most liquid Swiss Performance Index market-capitalization stocks that include the most actively traded securities of companies based in Switzerland and the Principality of Liechteinstein. 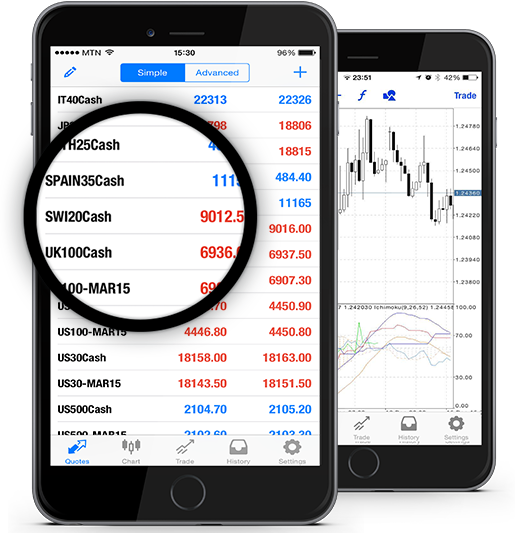 The securities of the SMI 20 (SWI20) index represent over 90% of the entire trading volume of all Swiss and Liechtenstein equities listed on the SIX Swiss Exchange, Switzerland’s principal stock exchange. The SMI 20 (SWI20) index was first introduced in 1988, its components are examined once a year, and it is calculated in real time: an updated index level is calculated and displayed as soon as a new transaction takes place in any of the securities contained by the index. How to Start Trading SMI 20 ‏(SWI20)? Double-click on SMI 20 ‏(SWI20) from the “Market Watch” to open an order for this instrument.